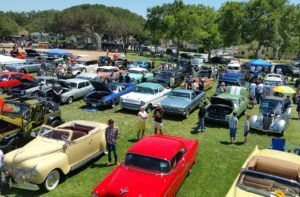 The sixteenth annual Culver City Car Show is here! Come on out to Veteran’s Memorial Park on Saturday, May 17 from 9:00am-4:00pm, rain or shine. There will be over 400 classic cars and hot rods in attendance, so register yours now. The Culver City Car Show also features a beer garden and a gourmet food truck court. And let’s not forget live entertainment all day! Money raised proudly supports various charities and organizations. This event is free, and free parking can be located at the Sony Studios parking structure. Sorry canine friends, no dogs allowed in the park. Humans? This event can’t be beat!